With Captain America: Winter Soldier setting revenue records in theaters, it is drawing attention to the unlikeliest of cities--Cleveland, Ohio. Local moviegoers in Cleveland are sure to spot some familiar places from their city in this newest installment of Captain America's legend. 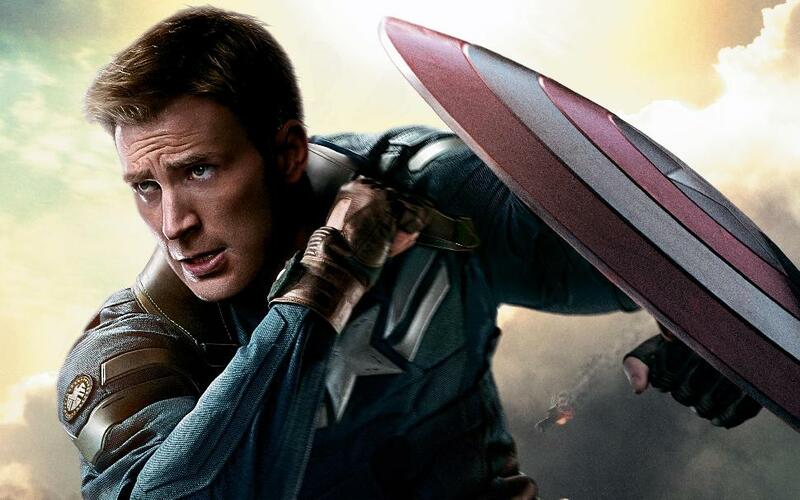 Portions of Winter Soldier were filmed in Cleveland as a stand in for Washington, D.C. Cleveland has been attracting tourist attention already from those who want to walk the footsteps of Steve Rogers. In particular, the Lake View Cemetery and Little Italy trail in Cleveland has been drawing a lot of attention from fans of what is being hailed the best movie of the individual Avengers stories. While filming in Cleveland, the city's 6th Street doubled as the 7th and D Street in Southwest Washington D.C. They also filmed at scenic Cleveland State University, Cleveland Public Library, Cleveland Museum of Art and Tower City Center which perfectly captured the old style of the nation's capital without actually being there. However, one of the most famous Cleveland sights in Winter Soldier was the beautiful Lakeview Cemetery and Dam. It was at this 80 million gallon dam on the middle of Lakeview Cemetery near Little Italy that Captain America and his crew regrouped forces after the fracture of S.H.I.E.L.D. and prepared for the fight to take it back. This concrete dam served as the crew's grungy concrete bunker though some of the inside shots were filmed at the Southerly Wastewater Treatment plant in Cuyahoga Heights. Visitors to the city are sure to get a thrill from seeing Steve Roger's hideout as well are viewing other filming locations in the area from the Lake View Cemetery and Little Italy trail. This trail loops around the Lakeview Cemetery which is called Cleveland's Outdoor Museum. This historic cemetery is the final resting place of 104,000 people across 285 acres. The cemetery sits elevated in the hills around Cleveland and hosts a stunning view of Lake Erie in the distance. The Lake View Cemetery and Little Italy trail is a beloved way to see this historic cemetery that runs a three mile long loop around it. The cemetery was created by Italian stonemasons just outside the Little Italy portion of Cleveland, where the trail starts. It was modeled after the Victorian Era cemeteries of England and France, giving it a classic and beautiful appeal, albeit a bit of a spooky vibe since it is in fact a cemetery. Inside, more than a few notable names are buried inside including billionaire oil tycoon John D. Rockefeller, former president James A. Garfield and his wife Lucretia, inventor of the Salisbury Steak James Salisbury and the Secretary of War during World War I Newton D. Baker. Among all these notable names there are graves belonging to among Cleveland's first residents as far back as the 1790's which were relocated to the site after its foundation in 1869. The well packed trail leads through the beautifully wooded highlands surrounding the city, stopping for venues the overlook Lake Erie and running along various iconic sites throughout the historic cemetery. 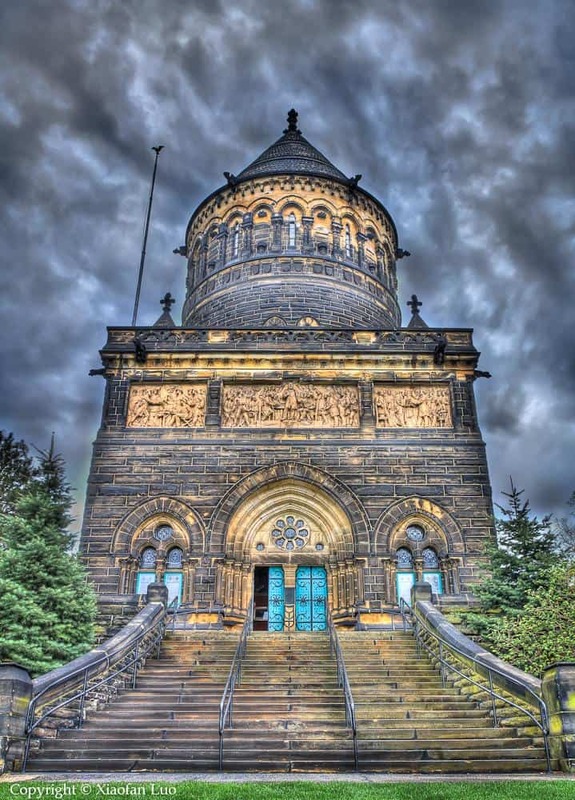 Among the most prominent attractions is the James A. Garfield Memorial. The exterior of the monument serves as a resting point for those hiking the trail as well as a scenic observation deck and picnic area for visitors. The exterior of the monument hosts an intriguing mix of Victorian area architecture mixed with a bit of late 1800's flare. The ornate interior hosts a marble statue of the brief president of the United States as well as stained glass windows, beautiful bas relief and various relics from the life of James A. Garfield and his brief reign as the 20th president of the United States. The president himself and his wife are entombed below ground on the lower levels of the crypt, their coffins placed side by side and on display for visitors to see. Another prominent stop for visitors along the trail is the Wade Memorial Chapel. This historic chapel was built in 1901 in the neoclassical architectural style and is located just north of the Garfield Memorial. It was built in honor of Jeptha Wade, the industrialist that was not only responsible for founding the Western Union Telegraph Company but also founded the Lake View Cemetery itself in 1869. The exterior of the chapel is beautiful marble but the interior is largely decorated with glass under the careful design of the famous Louis Tiffany who created biblically inspired mosaics on the walls. While the Wade Memorial Chapel and the Garfield Monument are great highlights along the Lake View Cemetery and Little Italy trail, there is one spot that steals the show. The Lake View Cemetery Dam is the largest poured concrete dam east of the Mississippi River. This massive blockade is 500 feet across, 60 feet above grade, 30 feet below grade and can hold back 80 million gallons of water. This dam holds back a rather large stream and protects the cemetery as well as Cleveland from floods, even when it is serving as Captain America's secret hideout. Many who hike the Lake View Cemetery and Little Italy trail are surprised as they emerge from the woods north of Wade Chapel and the Garfield Monument to find this behemoth of a dam seemingly in the middle of nowhere. The trail leads visitors to walk across the dam, but visitors can also walk around the area. Visitors should heed warning and caution signs and use common sense when it comes to exploring as some areas of the dam can be dangerous. Many see the Lake View dam as the half way point on the trail. Where the first leg has some historic crypts and chapels along it, the second half of the trail is fairly sparse. There are a few historic graves that hikers can visit, but primarily it is a nice peaceful hike through the woods until hiker's return to the Little Italy area of Cleveland in which they started. Whether visitors head to Cleveland for this historic hike or to visit the various Captain America: Winter Soldier sites within the city, they are in for an unexpected Ohio adventure.